AEE 313: What Makes YOU Come Alive? To “come alive” means to become energized and excited about something. What makes you feel happier? What makes you feel smaller or less alive? We all owe it to ourselves to think about this every day. Are you living in the US? Have you avoided setting up your voicemail in English because you aren’t sure what to say? Today we’ll show you exactly how to set it up and what to say. If you don’t have your voicemail set up and you get a business call, most likely the person will not try to call back again so you will miss an opportunity. When someone has a bad idea and you don’t agree or you don’t want to accept the invitation, how can you say it in English without offending the person? Today you will find out exactly how to do it. Come back to our site to get 2 more ways to validate someone's idea in English. Do you think it’s important to have one? Today we’ll talk about why sometimes it’s good to let your plans go and relax into life a bit. You can make as many plans as you want in life but you never know what’s going to happen. English acronyms are fun and easy when it comes text messaging and emailing but you need to know what impression you give the person when you use them! Today we’ll show you some common English acronyms and what impression they create. We’ll also give you some alternatives. SMH (“Shaking My Head”)- This is a newer acronym. You can use this when you disapprove of something that someone has done. Which acronyms have you used? It was long, cold, and tough winter and now we want to talk about spring! Do you know how to talk about spring in English? This is a great way to start English conversations these days. In today’s episode you’ll get a bunch of ways to talk about it with a native speaker. Do you know what to say to someone after a good or a bad date in English? Today you will find out from our favorite dating consultant, Jessica Coyle. You’ll also get some new English dating vocabulary and terms that you can use in the real world! (2) Jessica likes to research the person online after a good first date to find out more about the person. Jessica Coyle has been teaching English since 2007. 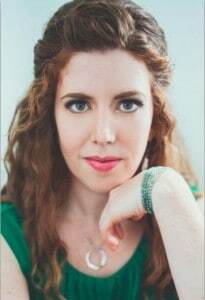 She received her Master’s in TESOL in 2013, finishing with a professional project researching the use of improvisational comedy teaching techniques to teach English as a second language. She has studied and performed improv comedy all over Korea, China, Canada and the United States. She writes a dating blog called Hopeful Disasters. Today you’ll find out why staying in the same place will never get you to where you want to go and how to make an effective change quickly and easily. It’s so easy to get into a habit but we have to step back and ask ourselves if our habits are creating the results that we want. We often realize that we have been doing the same thing for years and we haven’t achieved our goals. Michelle’s new goal: She wants to build upper body strength. How is she working towards the goal? She is using resistance bands at her home a few times every week. Lindsay’s new goal: She wants to deepen her meditation practice. She has started going to her meditation center every morning. What are you going to change after listening to today’s episode? Today we have our dating consultant, Jessica Coyle, back on the show! Today Jessica is back to talk about the concept of chemistry in dating in urban US culture. Jessica is going to tell us how to know if we actually have chemistry with someone. Chemistry: A magnetic pull between two people where you seem to understand the other person and something is different about that person to you. Slow burn chemistry: You start out as friends and then chemistry and attraction gradually builds over time. Features of the other person that seemed strange or unattractive initially start to become endearing and attractive. Quick chemistry/limerance: This is more of an infatuation. Jessica thinks that online dating and set ups reward this type of attraction. These connections can be really intense at first and then can fizzle out and not end well. At the same time, sometimes these attractions can work in the long run. What about in your culture? What are your deal breakers when it comes to dating? In your culture, how much influence do your parents and family have when it comes to your choice of a partner? Let us know your thoughts on this topic. How important is chemistry when it comes to dating in your home culture? Are you STILL making this English mistake? We hear a lot of intermediate learners still getting confused between “I would like” and “I like” in English. Today you’ll get two examples of how to solve this mistake. 1) “Do you like coffee?” This means do you enjoy coffee? 2) “Would you like a coffee?” This means that someone is inviting you to have a coffee or is offering you a coffee. Are YOU still making this mistake? Leave us a sample phrase or question in the comments below! Our guest will challenge your assumption that SPEAKING is the most important part of learning English. Try to do many different kinds of things in the language: English is a process. Spend time with it. You can’t HAVE it. You can’t GET it. You need to constantly maintain it. Julian says that there is no difference between “experiencing” the language and “learning” the language, as far as your brain is concerned. By experiencing the language in many different ways, we can acquire chunks of English which will help us to sound more native-like. You should try to encounter the language through reading, speaking, listening, writing, etc. Get a more well-rounded experience of the language instead of just focusing on speaking. Try to get a balance between intensive activity and relaxed exposure: Some of your work should be deliberate, focused, practical, intensive study. At the same time, some of your work should be a more relaxed encounter with the language. You need to take it in in a way that is enjoyable and easy. You could try listening to music in the language or watching TV. The key is getting a balance between the two forms of learning. Focus on things which are useful to YOU: Exclude things that aren’t useful to you. Don’t bother to learn things that you won’t need to use. According to Julian, we don’t become fluent in English. We become fluent in specific topics such as cooking, law, politics, art, etc. Choose your focus and pursue English in that area. Drop the idea of becoming “fluent” in English in general. Have you focused down on one specific area of English learning? Most people think that forgiveness is weakness but today we’ll challenge your perspective with an awesome quote! Do you have any “frenemies”? This quote is somewhat “cheeky” and it says that if we want to annoy our enemies even more, we can forgive them. Also, the quote is telling us that it’s better for us to forgive. It helps us lead healthier lives. When you have an enemy you carry a lot of negative energy around and it takes up space in your body and in your brain. Frenemy: “Friend” + “enemy”= someone that you care about and you are there for them but you can’t get along with them on an everyday basis and many things about that person bother you. To hold a grudge: You keep thinking about something that someone did to you, you hold on to your anger. You don’t move on. Do you have someone to forgive? What is holding you back from forgiving that person? Come back to allearsenglish.com/300 and let us know what you are working on. Jessica is the author of Hopeful Disasters where she explores dating in New York City. She is also an ESL teacher in New York City. When you meet someone for the first time in English, whether it’s a date or just a first-time meeting with a friend or colleague, there are certain topics that you should NEVER discuss. Today you’ll find out what they are with our favorite AEE dating consultant, Jessica Coyle. A few weeks ago we talked about what four things you SHOULD talk about on a first date in English or at a first meeting but today we’ll show you what you should avoid. Politics: You can casually mention your political interests but don’t get drawn into a political debate or discussion. Jessica calls this “quicksand” because you can start to sink and you’ll get stuck and you won’t be able to get out of it. It’s better to bring up this topic once you already know someone well and after you know their triggers well. Age: You should definitely avoid asking the person their exact age. Also, this means that you should not ask people about their timeline in terms of when they want to get married or have kids. It’s too direct and too intense for a first date or first conversation. You might terrify the person if start asking these questions too early. Religion: You probably have a rough idea of your date’s religion and it will be important later but it’s too personal to get into during a first date. It’s ok to share your own religion if you want to but don’t ask the person directly what their religion is. Education: This is tricky. Jessica says that the goal in not asking this question is to avoid coming off as arrogant or judgmental. If you ask the person where they went to school or how many degrees they have, it will be clear that you are fishing for information regarding their intelligence or social status. You might make the other person feel bad if you ask this question. Try to figure out if there is an intellectual connection instead. 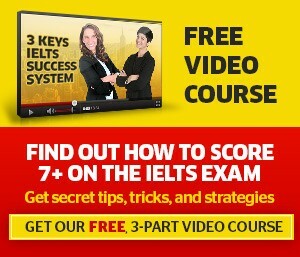 Come back to allearsenglish.com/298 and leave us your comments! What is the difference between “come” and “go” in English? This is a big mistake that a lot of English learners make! Here is the trick to remember “come” versus “go”: Where is the speaker? In this case, the speaker is in New York. If he says, “I plan to go to Boston” then he is not in Boston. Keep it simple! Stick to this rule and it will clear up your confusion every time. Write a sample sentence below to show us that you understood today’s episode! We hope to read your example soon! AEE 297: Is There a Formula for Originality? Find Out Today! What is the difference between being original and imitating? What will get you further in life? What does this mean for English learners? Don’t focus too much on being perfect. Get creative with your tone of voice. Learn different ways to say different things. Check out this episode about the Zone of Genius. Where does this quote resonate with you? Come back to http://www.allearsenglish.com/296 and tell us if/when you plan to try Jason's class called "Student Speaks, Teacher Listens"
Do you feel like you never get a chance to speak English? Even when you attend an English class or work with an English tutor do you leave the class feeling like you haven’t spoken at all? A lot of students feels this way. Today we have a guest, Jason Newnum, who is an American English teacher. He teaches on the italki platform and he is available for lessons now! Why did Jason create this class? Jason created this class because when he took Spanish classes he noticed that he was not getting much speaking practice at all. He felt discouraged and didn’t get much better. He realized that the same problem was happening with English students. Jason wants to solve this problem. Why is Jason’s class different? Jason Newnum teaches English as a second language, in Bariloche, Argentina, and lives there with his family. Although he received his university degree in Spanish and now lives in a Spanish speaking country, his Argentine wife speaks English and Spanish equally. So it’s difficult to force himself to practice Spanish, when it’s easier to speak English with his wife. So he understands the frustrations of having to force ourselves to practice a foreign language everyday. Do you have this problem with your English class? Are you planning to try Jason’s class? If so, let us know when you are going to get started with Jason.